International Conference "MODE CONVERSION, COHERENT STRUCTURES AND TURBULENCE"
"MODE CONVERSION, COHERENT STRUCTURES AND TURBULENCE"
The International Conference "Mode Conversion, Coherent Structures and Turbulence" will be held in the Space Research Institute of RAS during the period from 23 up to 25 November 2009. 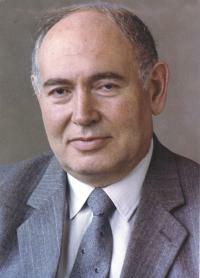 This Conference is devoted to Prof.S.S.Moiseev’s memory regards to his 80-th year birthday. The conference MSS-09 is the sequel of international conference MSS-04 which was held in the Space Research Institute of RAS during the period from 23 up to 25 November 2004. The international conference MSS-09 is organized by Space Research Institute with participation of the Russian Academy of Sciences, the Dynasty Foundation, the Russian foundation of fundamental researches, the European Geosciences Union, the Education and the Scientific Council on Nonlinear Dynamics of RAS. At MSS-09 Conference with the participation of leading Russian specialists and foreign ones it is supposed to discuss the modern state of investigations in the fields of helical media and chiral one dynamics including the following problems : the small-scale structures and large-scale ones interaction, the chirality influence on the electromagnetic waves propagation and reflection, the interaction of charged particle beams with plasmas, the mode conversion; the analysis of medium inhomogeneity, in particular, nanoscale layers and the turbulence role, the studying of large-scale structures generation (including the powerful spiral vortices forming), the development of new approaches to these problems analytical investigations and numerical simulations of processes considered, the techniques of experimental data collection, methods of these data processing and results obtained interpretations, the forecasting of nonlinear dynamics of large-scale structures and their applications in natural disasters analysis, the study of nonequilibrium medium states forming under powerfull sources pumping. How to reach us New ! PROGRAM OF THE CONFERENCE New !